Just like the borough’s baseball residents, the Yankees, Bronx residents have had the hot hand at Empire City Casino just up the border in Westchester. 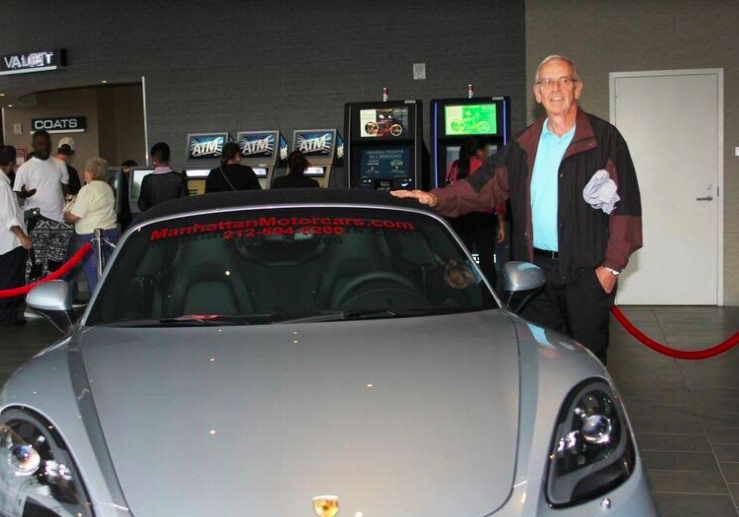 Last Monday, July 24 Richard Lohmann of the Bronx was the lucky winner of a Porsche Boxster. In the second round of the promotion Monday, July 31, the Bronx came up aces again when borough resident Carmen S. won this week’s Porsche giveaway. Tristate area members of Empire City’s Empire Club flocked to the Yonkers casino for the chance to win a brand new Porsche Boxster luxury car or trade the car in for $60,000 cash. Ten finalists from a pool of Empire Club were drawn as the Boxster was on display, inspiring betters to dream of getting a very special win. 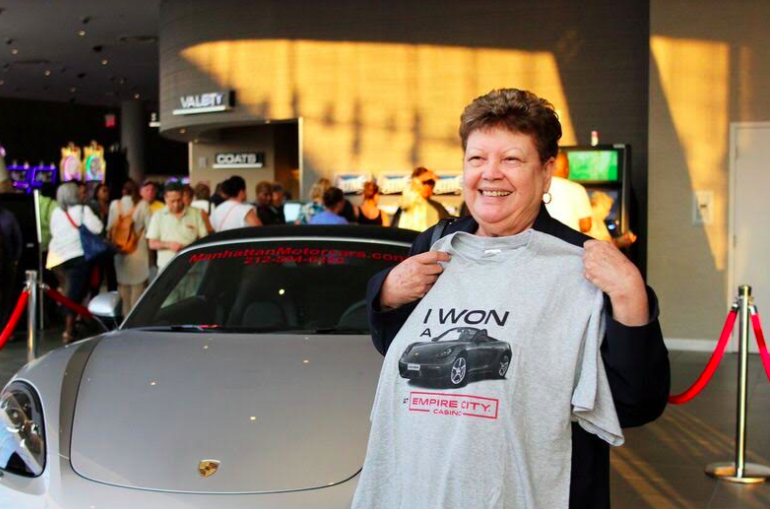 Each finalist was handed a custom Empire City t-shirt: one declared the winner driving home in a brand new Porsche, the other nine t-shirts said “I Almost Won a Porsche at Empire City Casino” and received a consolation prize of $250 cash. Though the Porsche Boxster can zoom from zero-to-60 mph in 4.3 seconds, both Carmen and Richard chose to trade the car in for the cash prize. While the Porsche giveaway has gone away, August brings other contests for Empire Club members, namely the Great Gift Card Giveaway every Thursday beginning at 3 p.m. and the Tuesday Fast Cash Giveaway from 3 – 7 p.m.
Other notable events include a meet and greet with former New York Yankees first baseman Tino Martinez Wednesday, August 16, 6:30 p.m. at Dan Rooney’s Sports Pub on site at the casino and comedy night also Wednesday, August 16, as well as August 30. Complete details available at empirecitycasino.com.